Home / JOB VACANCY / JOB VACANCY AT TANZANIA POSTAL BANK (TPB): SENIOR MANAGER STRATEGIC PLANNING. JOB VACANCY AT TANZANIA POSTAL BANK (TPB): SENIOR MANAGER STRATEGIC PLANNING. 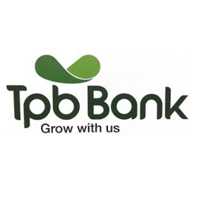 TPB Bank PLC seeks to appoint dedicated, self-motivated and highly organized Senior Manager Strategic Planning (1 position) to join the Strategic and Planning team. Prepare Strategic Plans, annual and long term range corporate plans and monitor business growth of different businesses in TPB. (xii) Liaise with other divisions to improve output pan company. (xiii) Any other duty assigned by senior management. (ii) Able to drive agenda in other divisions. (iii) Able to manage relationships pan-company. Education: Holder of a Master’s degree in Economics, Business Administration, Finance, Marketing or related subjects with a relevant experience of not less than 3 years. Knowledge in banking or possession of Associate ship TIOB Professional Diploma would be an added advantage computer literate.